Moog suspension parts are more expensive, but you get what you pay for. There are other options out there for this whole front suspension kit, but I wouldn't take the chance of having to perform this job again 2 years later because of using substandard parts that "Meet or exceed OEM" from China. Go with the Moog parts, and you can be much more secure in the final outcome of your job and it's likely to last many years. These parts were required for my 2006 Ford F250 4x4. The same parts are required for all 4-wheel drive F250 and F350 from 2005 to 2007. These parts may also fit other applications. Other parts that are required for this job were purchased from AutoNation Ford. They are a For dealership that stocks many authentic Motorcraft parts. I decided to get all of the axle shaft seals and O-rings from them. Here are the appropriate part numbers. You will need two of each of these items to do both front wheels. And finally - a video to help you understand how to get the job done. This guy does a good job explaining things. I didn't like how I couldn't see the images while I was reading, so I rehosted the tutorial over here on my blog with pictures displayed in-line. 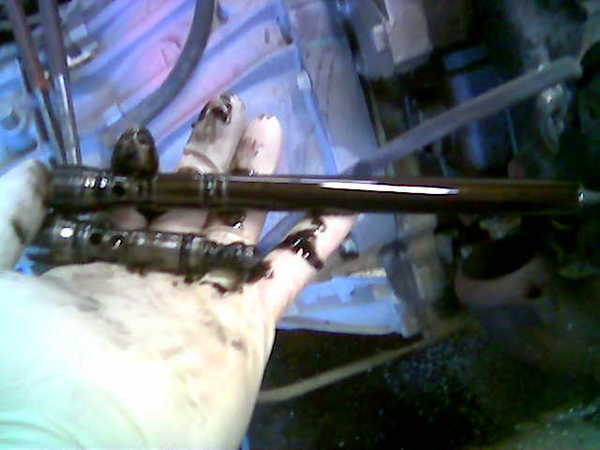 Now, I'm off to replace a couple of injectors on my 2006 F250. While doing some head gaskets and an injector on a customer's vehicle, I decided to show you guys how injectors are replaced on these trucks. First step is to figure out which one it is. This may involve a dealer visit, or some other diagnostic source. Once you know which one it is, get to it. I'm replacing #3. Now go ahead and take off the valve cover. A few of the bolts will be difficult because of the evaproator case. It might be short or long. If it's short, then it separated like it was supposed to. If it's long, you will probably have to separate it. The two halves just pull apart from each other. Insert the lower part back into the branch tube once the oil rail is out. Now take out the oil rail bolts and pry up gently. 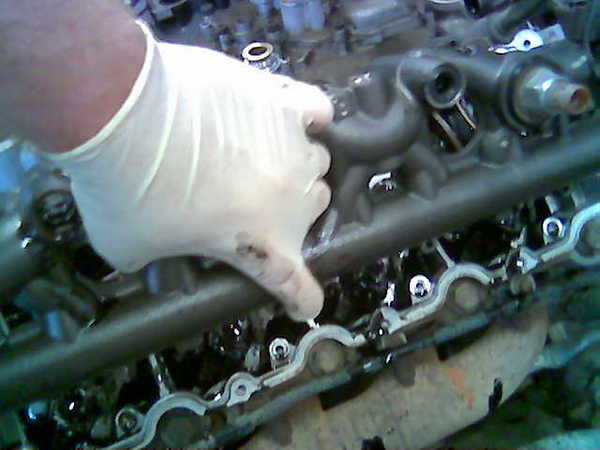 Hold the oil rail over the cylinder head so it can drain back into the crankcase. Take a 19mm socket and place it over the injector connector. 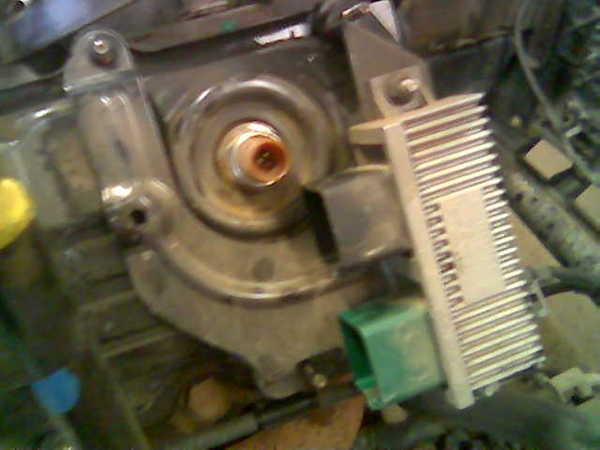 Press it down firmly to disengage the inector connector lock tabs and allow the injector connector to be pulled back into the head like this. 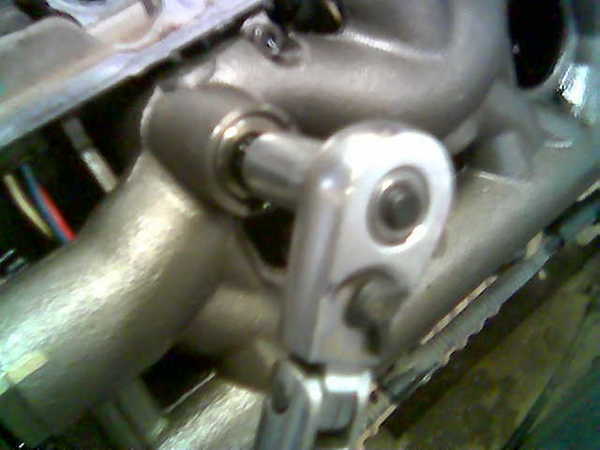 The injector and clamp will rise out of the injector bore as the bolt is loosened. Lube up a new injector with clean oil, fit the old hold down clamp onto it, and install. Lube the injector connector o-ring with oil and press it into the hole in the head until it clicks - watch your orientation; make it match the other injector connectors. Pour a small amount of oil onto the top of the new injector prior to installing the oil rail. Put it all back together. Don't be surprised if the engine spins over for a while before firing up - there is now a lot of air in the high pressure system to compress. The air will purge after some sprited driving. Replacing the timing belt on a 2006 Chrysler 300 Touring with the 3.5L V6 is not all that difficult. There are a few things to consider before replacing the timing belt on you Chrysler 300. Chrysler scheduled maintenance indicates that the timing bet should be replaced every 100,000 miles. It's a good idea to follow this recommendation, since the 3.5L V6 is an "interference" engine. This means that the pistons and valves have enough travel to interfere with one another if the timing isn't correct. 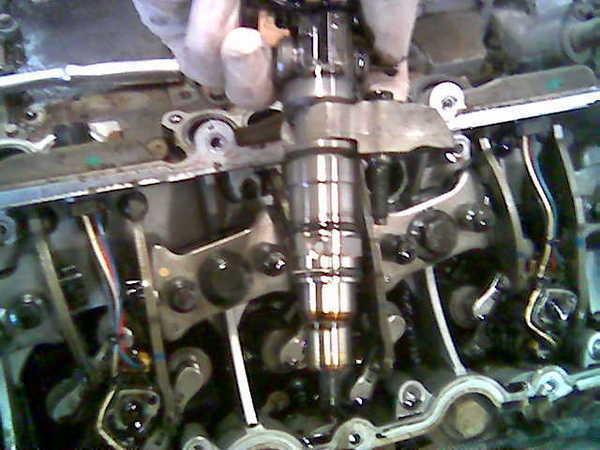 If your Chrysler 300 timing belt breaks while the engine is under power, then the camshafts will stop spinning at the same speed as the crankshaft, which will result in a terrible mess when pistons start slamming into valves, potentially destroying your engine completely. The moral of this story - replace your Chrysler 300 timing belt before it breaks! 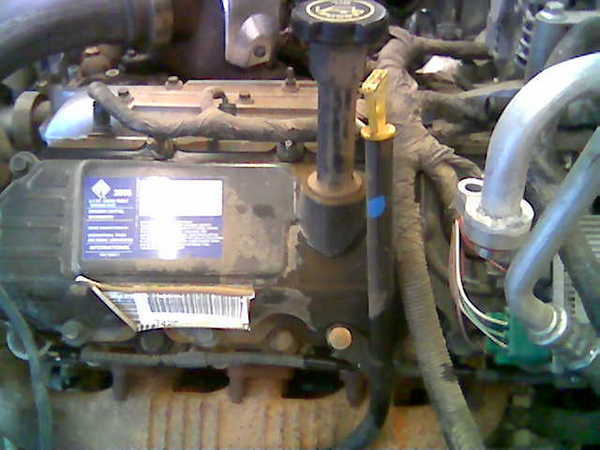 Another consideration is the fact that the water pump is also driven by the timing belt on your Chrysler 300. 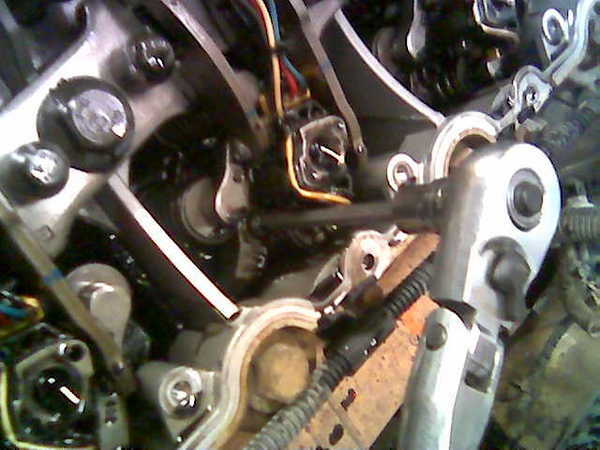 So while you're in there replacing the timing belt, you should go ahead and replace the water pump as well. Here are the steps required to replace the timing belt on your 2006 Chrysler 300 Touring with the 3.5L V6 engine. 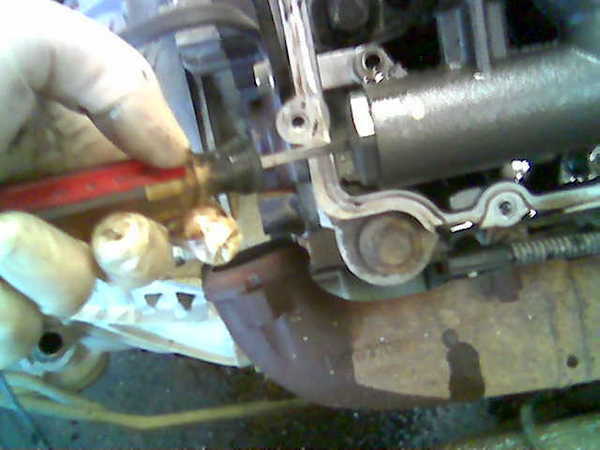 2) Disconnect the upper radiator hose by using pliers to open the spring clamp and slide the clamp down the hose. You may need to use a screwdriver to carefully separate the hose from the metal connection. Once the hose is loose, just bend it back out of the way. 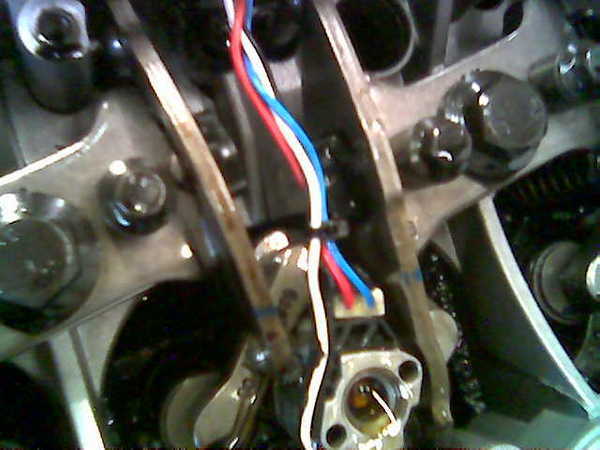 At this point, you should have the timing cover off, and should be able to see the timing belt and the water pump as well as the crankshaft pulley and the two camshaft pulleys. 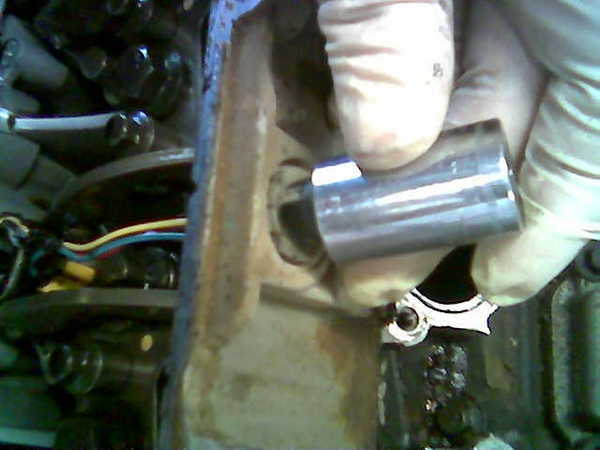 You can use a size 15mm socket to rotate the engine by hand. Watch the camshaft pulleys, and you will see the timing mark on the pulley as it lines up with the timing mark on the engine. It's very important that these marks are aligned when you go to put the new timing belt on. These marks indicate the position of the camshafts when the engine is at Top Dead Center (TDC). There is a TDC mark on the crankshaft pulley, as well. I will be finishing this soon and adding some pictures. I hope that you have found this information to be helpful!